Digging under Obama library site unearths World's Fair artifacts, but construction will proceed. Digital rendering of Louis Sullivan's Transportation Building (UCLA Urban Simulation Lab). 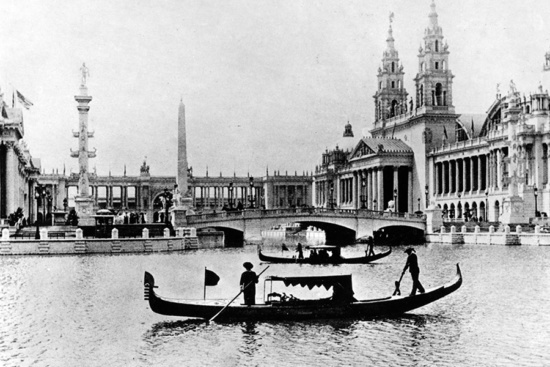 Archeologists involved with the federal review of the proposed Obama Presidential Center have unearthed artifacts from the World’s Columbian Exposition of 1893. The proposed presidential library is located atop the former fair grounds in Chicago’s Jackson Park. The Chicago Tribune reports that the artifacts range from pieces of fair buildings such as Louis Sullivan’s Transportation Building (pictured above), to waste associated with services from the fair, including animal bones. 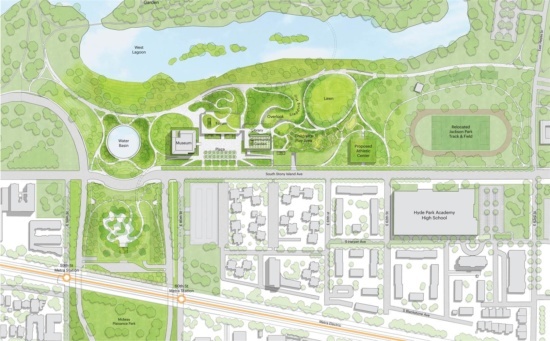 Preliminary site layout for the Obama Presidential Center, atop former Columbian Exposition grounds (Courtesy Obama Foundation). 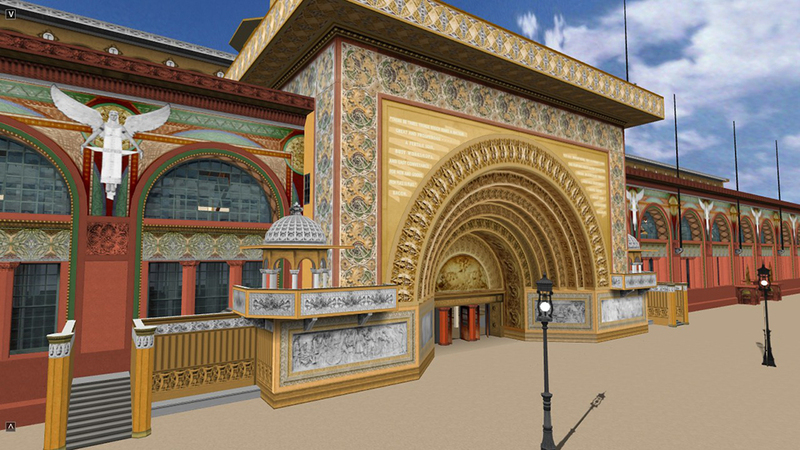 Prestigious firms D. H. Burnham & Company and Olmsted, Vaux & Co led the design of the 1893 Chicago Columbian Exposition. Designed and built according to City Beautiful principles, much of the 1893 campus was comprised of temporary structures built of form worked plaster painted white to resemble limestone. Beaux-Arts architecture and City Beautiful landscaping of the Chicago Columbian Exposition (Wikimedia). While the discovery of archeological artifacts can impact the timetable of a development, especially one of this scope, the Chicago Tribune notes that officials from the Illinois Department of Transportation who oversaw the archeological dig do not believe that the cluster of artifacts are significant enough to be listed on the National Register of Historic Places. The archeological findings will be presented March 29 during a public hearing at the University of Chicago, which will also discuss neighboring historic properties that the Obama Presidential Library will impact. Unless state preservation officials disagree with the Illinois DOT’s findings, the Obama Foundation intends to gain planning approval in May and open the facility to the public in 2021.